Demonetisation is the biggest reason for the rise in preference for small savings. Experts tell Abhishek Waghmare that a shift from bank deposits to small savings is also representative of the people's declining trust in banks. Confirming the recent shift in public preference for parking money in financial instruments like mutual funds and insurance schemes rather than bank deposits and physical assets, small savings schemes have re-emerged as a lucrative investment option for the Indian public. Investments by the public in small savings schemes rose to Rs 1.55 trillion in 2017-2018, a 33 per cent rise over Rs 1.17 trillion in 2016-2017, data with the National Savings Institute shows. More importantly, contributions to the National Small Savings Fund -- a pool of all small savings schemes -- have reached a record in 2017-2018 from a meagre Rs 30 billion in 2011-2012, a 50-fold rise in annual accruals in seven years. Small savings had seen a drastic drop from 2009-2010 to 2011-2012. The sharp rise in small savings as an investment option in recent years comes at a time when the contribution of household savings to the country's gross domestic product is declining. Further, this uptick is in consonance with a near 60 per cent rise in net inflows to mutual funds in 2017-2018, according to Securities and Exchange Board of India data. The NSSF collects public investments in instruments such as the post office savings deposits, National Saving Certificates, Public Provident Fund, Kisan Vikas Patra, Senior Citizen Small Savings Scheme and the Sukanya Samriddhi Yojana. 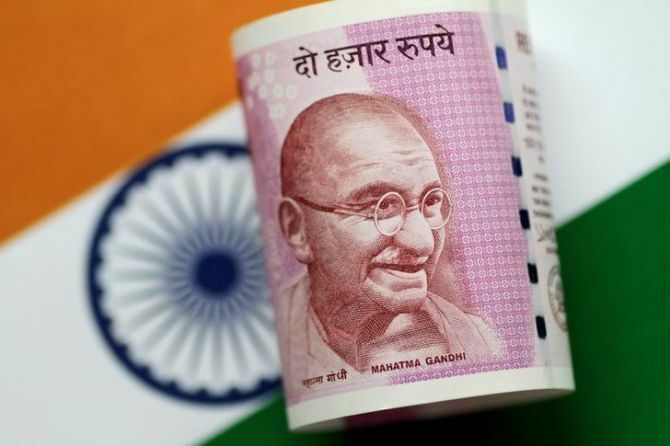 "Except National Savings Certificates, which saw a fall in preference in 2017-2018, all other schemes have witnessed a rise, with post office savings deposits and PPF posting the highest growth rates," a senior finance ministry official said. The data on small savings published separately by the Reserve Bank of India sourced from the finance ministry does not match the provisional data with the NSI since the government changed the method of sharing data with the RBI from gross NSSF receipts to net NSSF receipts from April 2017 (FY18), sources said. Savings and fixed (term) deposits in banks -- hich are the first points of financial savings for individuals and households after holding cash posted record low growth in 2017-2018 due to the large base effect of demonetisation in 2016-2017, which, experts said, is the biggest reason for the rise in preference for small savings in recent years. "Oversupply in deposits reduced the returns on bank deposits, and made financial instruments such as mutual funds and small savings a better option to invest in due to the high return on investment," explained Dharmakirti Joshi, chief economist, Crisil, a ratings agency. From June 1, investment in National Savings Certificate fetches an investor 7.6 per cent annually, that in Kisan Vikas Patra 7.3 per cent over 11 months, while the Sukanya Samriddhi Yojana for young women earns 8.1 per cent annually. In contrast, term or fixed deposits in banks earn interest at 6.25 per cent over a year as of today. Experts said a shift from bank deposits to small savings is also representative of the people's declining trust in banks. Stressed balance sheets of banks have reduced the size of their loan book, thereby reducing returns on lending, and reducing their appetite for high deposit growth. Among other factors, the real estate sector is unable to offer returns to the public owing to a crisis after demonetisation, implementation of the goods and services tax, and creation of a real estate regulator. Further, gold prices have moderated, making it less attractive as investment, observers said. In almost the same period when annual NSSF contributions rose 50 fold, annual average consumer price index-based inflation dropped from 10 per cent in 2012-2013 to 3.6 per cent in 2017-2018. The real interest earned on financial instruments that pay a flat interest rate, including small savings schemes, thus increased during the period. As for the utilisation of the NSSF by the government, it invested Rs 1.08 trillion in central government securities, Rs 650 billion in the Food Corporation of India, Rs 200 billion in the National Highways Authority of India, Rs 100 billion in the Indian Railways Finance Corporation, Rs 92 billion in state government securities, Rs 80 billion in the Pradhan Mantri Awas Yojana and Rs 30 billion in Air India, all at a higher interest rate than the rate of return for the public.